Every home needs a good roof built to protect the property. Whether it’s time for a replacement or your home has weathered damaging storms, it is important to find the right partner among the many roofing contractors in Glencoe to choose from. The roofing contractor you pick can mean the difference between a quality repair and one that will need to be redone in just a few short years. That’s why it’s essential that Glencoe homeowners know the right questions to ask when interviewing perspective roofing contractors. Are you a licensed roofing contractor in the Glencoe area? How will you ensure my roof has proper ventilation? Do you have experience working with a number of roofing materials? What does your roof repair or installation estimate include? Do you carry the proper insurance required for roofing contractors? Are you aware of the unique building codes and regulations for the Glencoe area? You may be asking yourself “Who are the best Glencoe roofing contractors near me?” For homeowners looking for the most trusted roofing contractors in Glencoe, the answer is clear – Custom Installations. 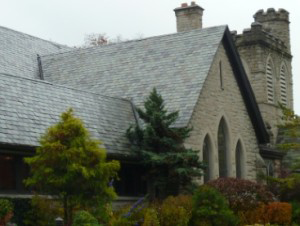 As one of Chicago’s leading roofing companies, we provide the top-notch care your Glencoe home deserves. From complete roof replacements to small repairs, our expert crew can handle it all. Contact us today for your own in-person quote.